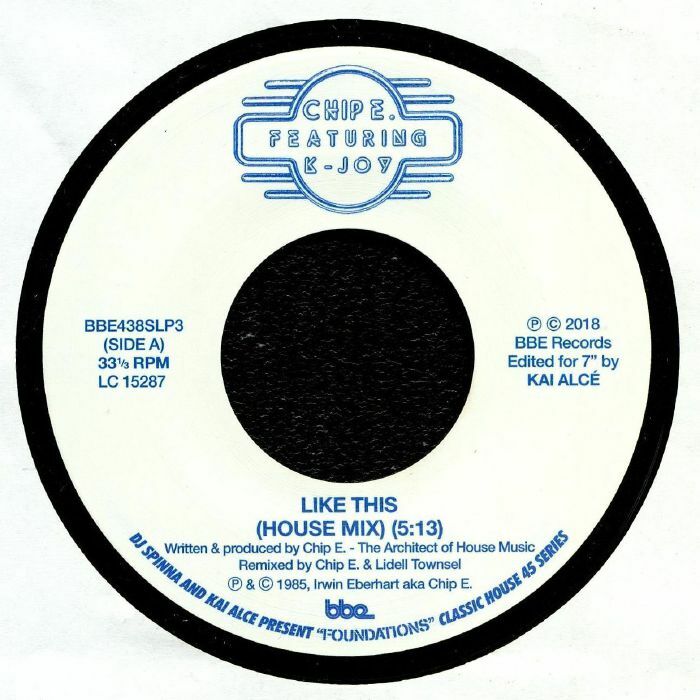 For the latest volume in their Foundations series on BBE, Kai Alce and DJ Spinna have decided to reissue one of the finest records from the earliest days of Chicago house, Chip-E's spellbinding 1985 anthem "Like This". This seven-inch edition features a fresh edit of Chip-E's original cub mix on the A-side. 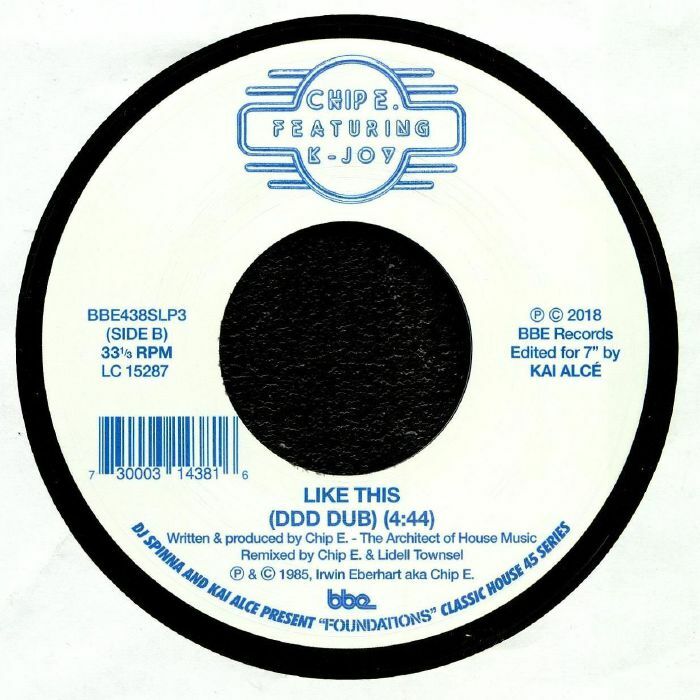 This version is essential largely because of the quality of K-Joy's impeccable vocal, though the re-mastered sound also makes Chip-E's crunchy Roland drum machine hits, bold synth-bass and spacey lead lines sound better than ever. Turn to the flip for the heavy and stripped-back "DDD Dub" version, which makes more use of the short "Like This" vocal, which was originally provided by the Godfather of House himself, Frankie Knuckles.